Very Good. The book you've been waiting for from New York Times bestselling author Karen Kingsbury...Leaving is the first volume in a new series that features members of the popular Baxter family and finally completes the Bailey Flanigan/Cody Coleman story. Trade paperback (US). Glued binding. 328 p. Bailey Flanigan (Paperback), 1. Good. 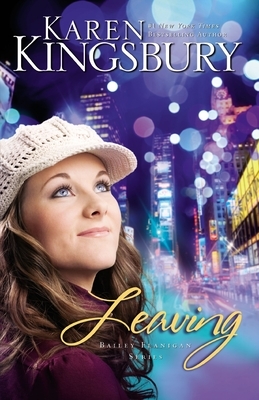 The book you've been waiting for from New York Times bestselling author Karen Kingsbury...Leaving is the first volume in a new series that features members of the popular Baxter family and finally completes the Bailey Flanigan/Cody Coleman story. Trade paperback (US). Glued binding. 328 p. Bailey Flanigan (Paperback), 1. Good. PLEASE NOTE, WE DO NOT SHIP TO DENMARK. Used CD. Shipped from UK in 4 to 14 days. Established seller since 2000. Please note we cannot offer an expedited shipping service from the UK. The book arrived on time in perfect condition. As usual, Karen's books are super.